Having trouble keeping track of all the TV shows you want to watch? Episode Calendar is here to help! 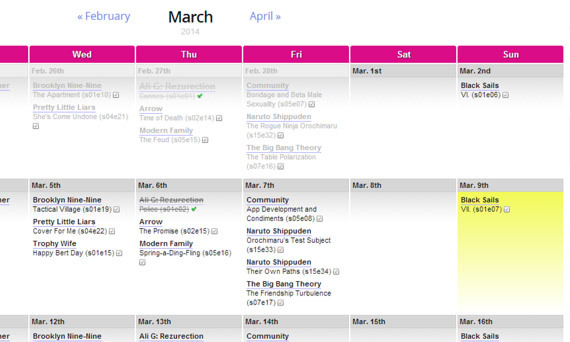 Add and manage your favorite TV shows in your own personal calendar. Remember what comes next. Check off episodes after you've watched them. 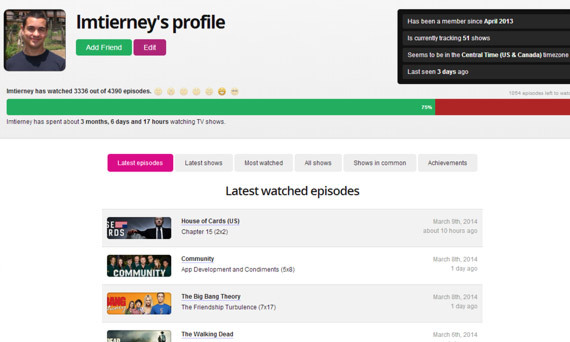 Easily search or browse to your favorite shows, or check out what's trending. Receive emails notifications when your shows air. Get it daily or weekly. Get rid of your TV guide! This calendar is all you need. 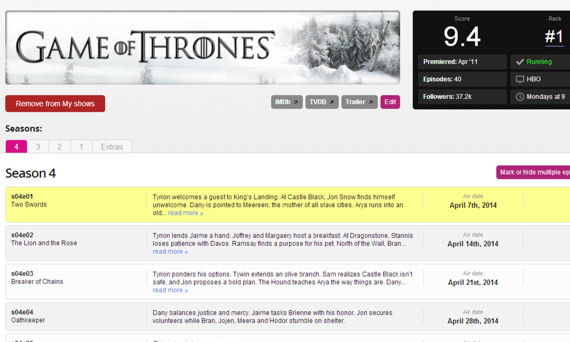 See what's coming, including new premieres, and check off episodes as soon as you've watched them. Get a better look at a TV show by browsing through all of its seasons, with episode dates and descriptions, or check out a trailer. The place to manage all your TV shows settings. 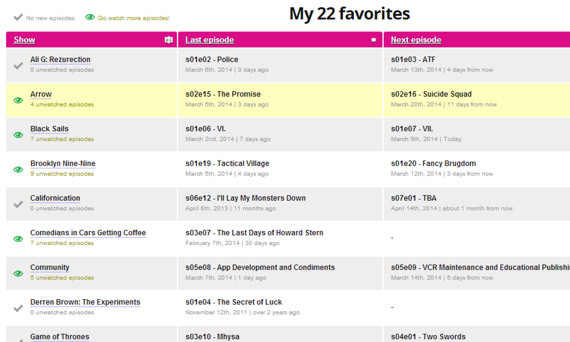 See which shows have unwatched episodes, or move shows to watch later. Looking for new TV shows? 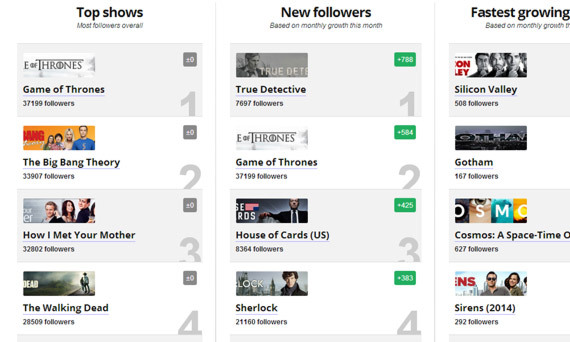 See which shows have the most followers, or which shows are growing like crazy in popularity. A summary of your activity on EpisodeCalendar. 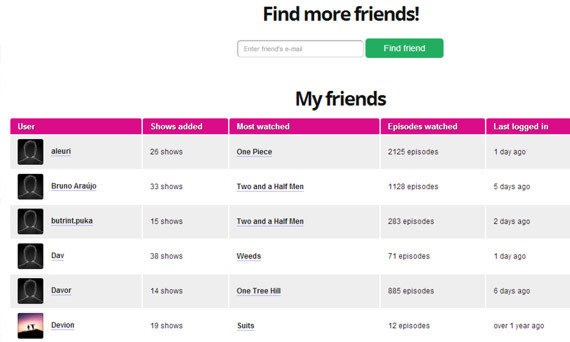 From how many watched and unwatched episodes you have, to your latest added shows and watched episodes. Have you ever been curious about what your friends are watching? Add them to your friend list and see their full profile and compare.